After attracting a record audience of approximately 4,000 film lover’s last year, the New Orleans French Film Festival will return for its 22nd annual run next month. From February 15-21, the historic Prytania Theatre will host the festival, which is produced by the New Orleans Film Society. The festival will again showcase excellence in contemporary and classic French-language cinema from France, Canada, Belgium, Switzerland and other French-speaking countries and regions. There will also be live music and lectures accompanying a selection of feature-length and short films. Before the opening night film, there will be a champagne toast in a private Garden District home, to which Francophiles, cinephiles, sponsors, and patrons are invited. New Orleans Film Society’s Scene Stealer, Producer’s Circle and Executive Producer’s Circle members get two complimentary French Film Festival passes. Moviegoer and Take Two members get $15 off of passes. 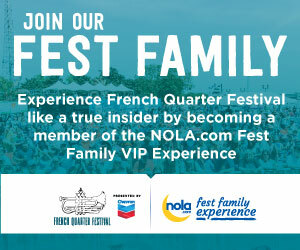 Visit neworleansfilmsociety.org to become a member or to buy a French Film Festival Pass. The full program for the 22nd French Film Festival will be announced later this month.